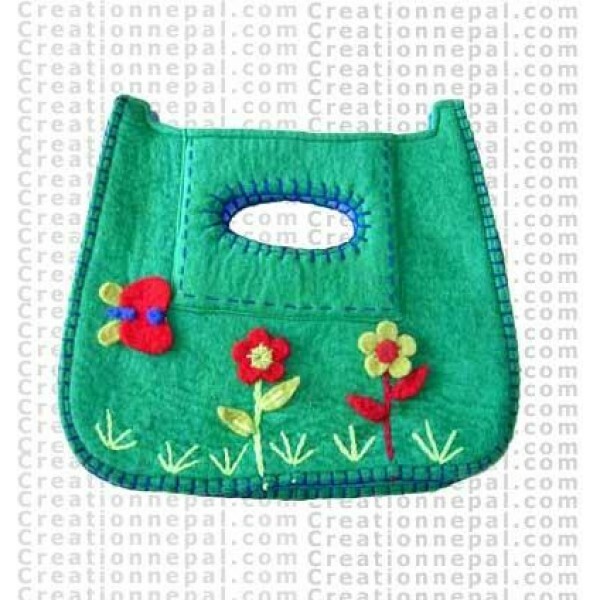 Felt flowers decorated hand embroidered small size woolen felt hand bag with cotton lining and zipper close. The given weight of the product is calculated for the shipping purpose, so that the actual weight can be different than it is mentioned here. Since the felt hand bag is entirely handmade, No two are alike; hence there can be slight variation in the given color and measurement.